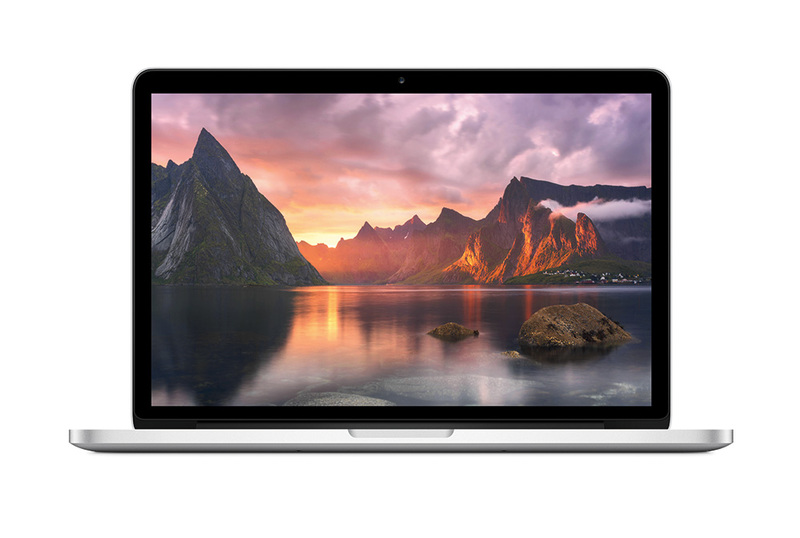 Apple is reportedly planning on giving the Retina MacBook Pro a speed bump on Tuesday with updated Intel Haswell Core i7 processors. The new models will still be available in 13-inch and 15-inch models, and will all come with at least 16 GB RAM. News of the imminent update comes courtesy of MacG.co (english translation) sources who targeted July 29 as the release date. The base model looks to sport a 2.2 GHz Core i7 processor, 16 GB RAM, 256 GB SSD, and Intel Iris Pro Graphics. The top of the line model will ship with a 2.8 GHz Core i7 processor, 16 GB RAM, 1 TB SSD, Intel Iris Pro graphics, and Nvidia GeForce GT 750M graphics with 2 GB VRAM. Apple hasn't confirmed the new models are coming tomorrow, but it's about time for an update for the Macbook Pro line up. There isn't any word on whether or not the MacBook Air will see a refresh at the same time.